Signature Sill Plaques | Please locate your local dealer for price. Add your own unique touch and an extra level of personalisation with a set of bespoke sill plaques. Personalised sill plaques are made to order and can be supplied engraved with a name or short message of your choice. The additional option to feature your signature adds another layer of personalisation. Features black inlay for contrast. Supplied in pairs. Luxury leather tablet case designed to fit the iPad and iPad 2. The compact Folio BZ provides every necessary feature for a busy business life such as card holders, multi-purpose pockets and an easy-to-carry design. The stylish zip closure elevates the overall design of the case. Available in three colourways: black with red stitch, brown with orange stitch and tan with yellow stitch. The ‘ultimate’ cover is made from a knitted polyester fabric with a Teflon coating, allowing water to ‘bead’ and run off. The fabric is strong, durable and custom made, and whilst being weather resistant allows air to penetrate. Available in Black and Grey from stock; or Red, Navy, Golden Biscuit, Green and Grey are available as special order by CONTACTING YOUR LOCAL DEALER. The kit provides high level security against wheel rim thefts and has been designed and developed to perfectly meet the Maserati safety standards over time. For all Maserati customers, it is essential to maintain their car’s perfection and beauty over time, and this includes the luggage compartment. To provide Maserati Customers the opportunity to comfortably use their tablet even on the road, Maserati developed the iPad Holder for 4th Generation iPad. or insignia, discreetly engraved onto your treadplates. Available for all Phantom models. grace is now available in a 24-carat gold plated finish. highest quality saddle leather in a classic tan finish. Are you in the market for a luxury vehicle? Our dealership has a wide selection of high-end luxury vehicles from familiar brands. You can find and buy luxury vehicles from top industry names like Aston Martin, Bentley, Maserati, and Rolls Royce. Visit our dealership for the highest-performing and most luxurious cars, trucks, and SUVs on the market. If you’re looking to buy a new or used luxury car, whether it’s a Maserati, Rolls Royce, or other top luxury brand, you’ll want to check out our financing or leasing options. When you choose to finance a luxury vehicle, our dealership can help you find low-interest loans to help make your luxury car purchase affordable as possible. Our financing allows you to gain full ownership of your new luxury vehicle at an affordable price. Looking to keep your auto payments to a minimum? Check out our dealership’s leasing options. With a lease, you just make a down payment, then agree to pay a certain monthly amount for the next thirty-six months. Leasing provides the most flexibility and convenience when purchasing a new luxury vehicle. In addition to a wide range of new luxury vehicles, our dealership also offers many used vehicles to buy or lease. Our dealership performs certified full inspections on all our pre-owned luxury vehicles. Buying or leasing a used luxury car helps consumers get their chosen vehicle at far lower prices. Used luxury vehicles require lower monthly payments, which can save you a lot of money. When shopping for a high-end luxury vehicle at our dealership, keep our used luxury cars in mind. Any vehicle owner knows it’s important to get regular maintenance on your car, truck, or SUV. You also will expect occasional vehicle repairs. While local mechanics are an option, our dealership’s luxury vehicle service department is convenient and tailored to the needs of luxury vehicles and their owners. Our mechanics will perform routine tasks such as oil changes, tire rotations, and alignments, as well as tune-ups and brake inspections. Along with routine vehicle maintenance, our dealership also carries and installs new auto parts for all of the luxury brands we offer. We can handle more extensive repairs, as well. Trust our service department to completely care for your luxury vehicle any time. 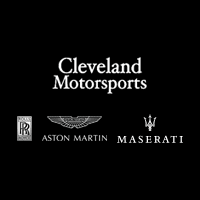 If you’re interested in purchasing or leasing a high-end luxury vehicle, contact our dealership today. Check out our inventory and feel free to ask any questions you have about any of our vehicles. Our friendly sales staff is happy to help evaluate your options. Come in for a test drive to see how each of our luxury vehicles drives and rides. Don’t delay in choosing a luxury vehicle. Your high-end car, truck, or SUV is waiting for you.